Oh Me! Oh My! We were delighted with the huge number of participants who entered our August ePlay Challenge, as well as the fabulous ideas and end results. There was inspiration galore and it was a treat to visit your blogs and learn more about your creations. Thanks so much to all who entered and shared their talents with us. What an amazing mini book she created filled with spectacular texture and detail. We loved every inky, stained, embossed, splattered page and tag in it. Gorgeous!, Congratulations, Nikki! We would also like to make special mention of two other projects which were entered into the Embossing challenge. 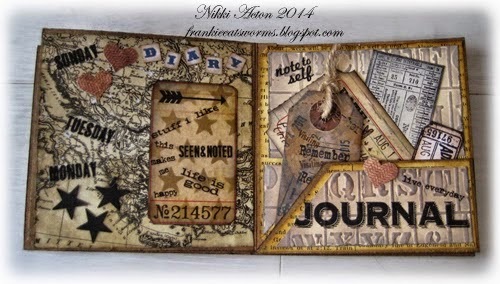 Kerstin's ATB is fabulous on all sides including the top with its mini book. 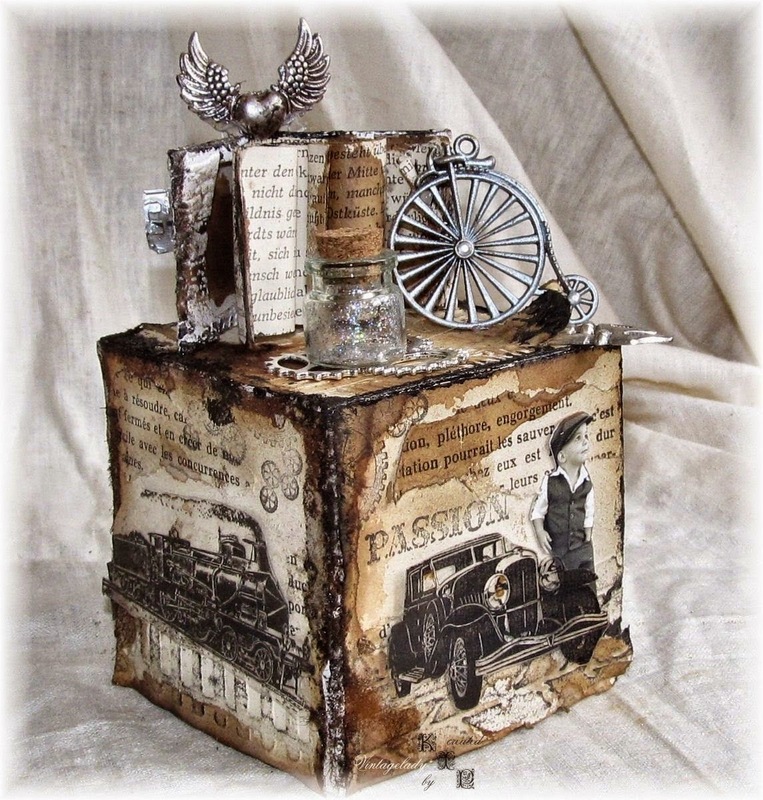 We love the aging and distressing, the stamping on acetate and foil, and the amazing dimension she achieved. 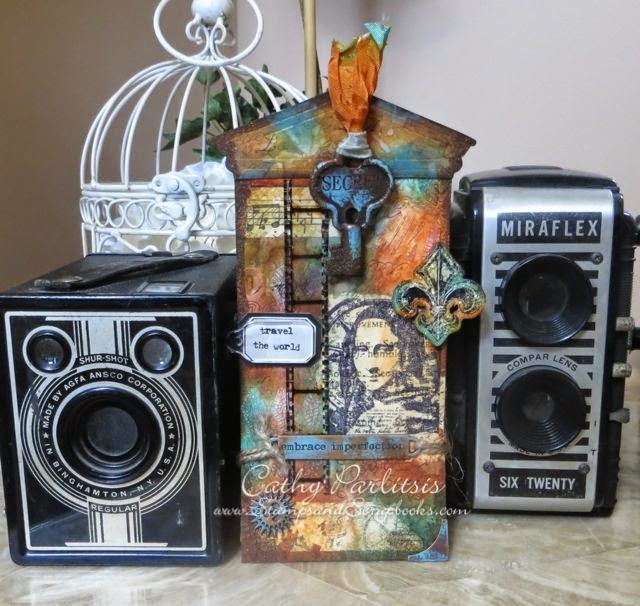 Cathy's tag has a beautiful rich colour palette, lots of layering of paint and ink, and a plethora of TH goodness. Beautiful! Our September ePlay Challenge with the theme of Fall/Autumn began on September 4 and runs until the end of the month. Hope we see you there!